Getting a short term visa (1-2 months) to Thailand is easy. Foreigners from most countries are easily admitted without much ado. It's with longer term visa (more than 1 entry or more than 2 months) that you have to pay more attention to red tape requirements and that some problems may arise. Short term visa are simple. If you want to stay long term, you just have to follow the rules. 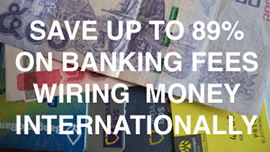 Do you really want to go wishy-washy to save costs and not leave the country? Rules regarding the several kinds of Thai visa change continously and obviously they differ for foreigners from different countries. Also, information provided by the Thai authorities is often not updated and hopelessly malstructured. Here, we intend to give you a general overview of the main visa and their requirements. If you find anything incorrect or outdated, please let us know. 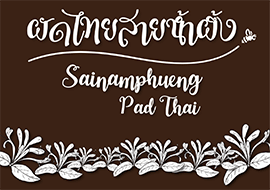 What's more, practises of interpreting and applying the rules differ greatly between Thai Embassies and Consulates across the world. Applying for a non-immigrant visa in Hong Kong, for example, is generally considered far more difficult than in Vientiane, Laos. Overall, dealing with the requirements of longer term visa to Thailand is often cumbersome and may feel illogical at times, however it's simply necessary and it's the way the Thai authorities require foreigners to comply, so if you follow that, you'll have no problems. The names of these visa do not always exactly correspond with the (confusing) official categories that the Thai authorities use and there are also special visa for specific jobs or people, for example: journalist, film producer, missionary etc., however, for the sake of simplicity these are the most practical and useful categories. • health: for certain countries you need to submit an international health certificate proving yellow fever vaccination. We will treat these issues later in separate sections. If you're just here for a short stay (up to 30) days, simply go for a tourist visa and if you come from a visa-exempted country, you can even save yourself the effort of going to an Embassy. For a stay of 30-60 days, it depends what country you're from. 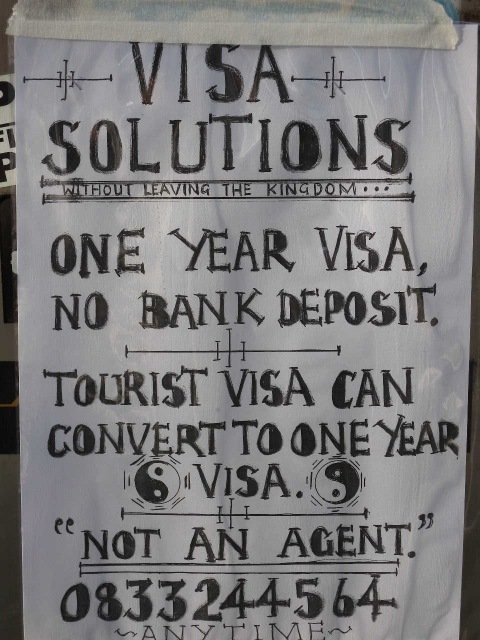 It may be better to get a single entry tourist visa than to go without and get an extension. If you want to stay in Thailand for a long term (3 months to several years), you better get your papers in order and choose a long term non-immigration visa. When you're over 50 years old, it's easy to get a retirement visa, but you need to keep a minimum amount of money in Thailand for a while, and some foreigners don't like that. An education visa is an alternative, it's easy to arrange. There have been many changes in Thailand's visa policy this year (2014), and much of it is targeted at foreigners who are staying in Thailand long term on a sequence of tourist visa, tourist visa without entries (back to back), those who may work illegally, and those who overstay. As a consequence, visa policies have been tightened and it's now more difficult for these groups of people to stay in Thailand long term. For some long term residents in Thailand, that's the drop that makes the bucket water spill over and they leave to other places. For others, it's just another clamp down of Immigration that happens every few years. 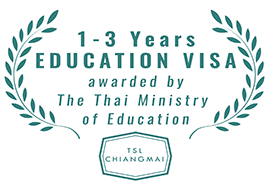 A lot of foreigners have resorted to education visa in order to stay in the country long term, but not all of them are really study Thai, and Immigration knows that and is checking on them. So, it's likely that in the future Immigration will also again tighten rules on the education visa, to prevent "fake students" from staying. The truth is, if you love this country and wish to stay longer, there are always options for you to stay, as long as you simply follow the rules of Immigration. 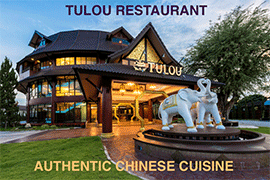 Comment by Bob from Belgium: "Thanks for the info, your the best site I found on chiang mai for expats." Hello, I would like to Know what visa solutions you can suggest me for the following situation : I’ve already come back twice in Thailand (from neighbouring countries) through land travels this year. Can I still get a long term visa (for the next 6 to 12 months) as I want to do some permaculture and holistic health trainings ?